The program was organized through the Women’s Guild Central Council and by the Women’s Guilds of St. George, St. Gregory, St. James and Sts. Joachim & Anne Armenian Churches of the Chicagoland area. Proceeds of the event—a total of about $7,000—will be donated to VOAH. Arzruni opened the concert with a solemn rendition of Hayr Mer. 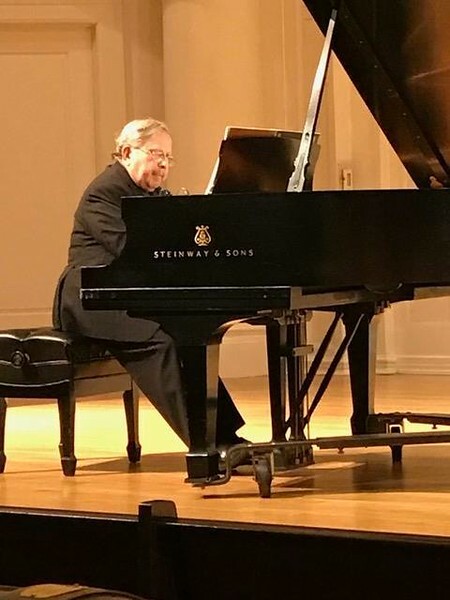 The rest of his program included works by Komitas, Alan Hovhaness, Alicia Terzian, Edvard Mirzoyan, and some previously unrecorded works from Aram Khachaturian, all of which he played on an American Steinway. A great artist in his own right, Arzruni, captivated the audience with detailed historical information as well as colorful and amusing stories from his personal experiences with the modern composers. Baltimore-based percussionist, Adam Rosenblatt, also performed at the concert. He dazzled the audience using unusual instruments, such as Thai gongs, a thunder sheet, and a conch shell to add imagery and color to two Hovhaness pieces. Through the Karamanuk Foundation, Arzruni has been a longtime supporter of FAR’s Vanadzor Old Age Home, which ensures a dignified living situation for about 50 elderly in Armenia’s Lori Province.